For the 2018-2019 school year, Athlos Jefferson Parish will be kicking off its inaugural “club sports” season. To find the offered sports, register, and view game schedules, visit the site. Register by September 19th for 5th and 6th grade basketball! Follow the instructions pictured below to register. The approach to after school athletics for this season will be focused on student-athlete development. Due to Athlos Academy of Jefferson Parish’s commitment to a long-term athletic development approach, our goal is to offer an after-school experience that supports that ideal –an athletic environment where all students are welcome to participate, and that’s focused on introducing and developing the skills needed to be competent in that season’s sport or activity. The sport seasons at Athlos Jefferson Parish may look a little different than traditional programs. The beginning weeks of each season will be dedicated to skill development where the goal of our coaches is to first develop a base layer of skill for every participant before transitioning into small sided competition. Coaches will assemble teams based on skill level so that every student's experience is created with their personal development in mind. Each sport season will last approximately nine weeks depending on the school calendar. We’re excited to offer an athletic experience where all are welcome to participate, and the goal remains to develop active, fit, and efficient movers. 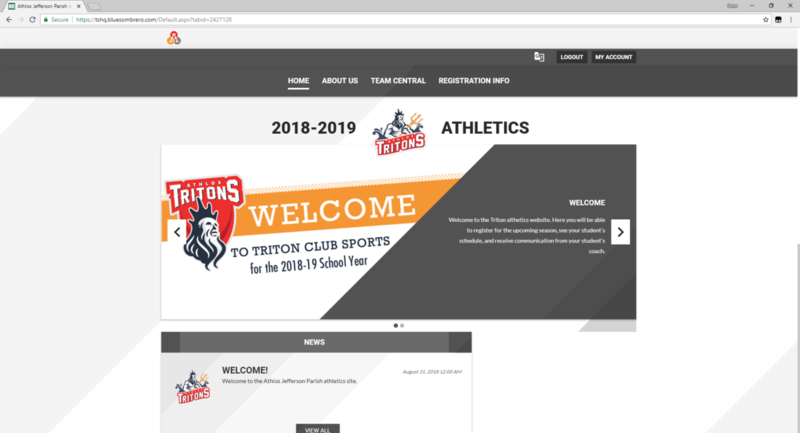 Step 1: Visit the club sports website. 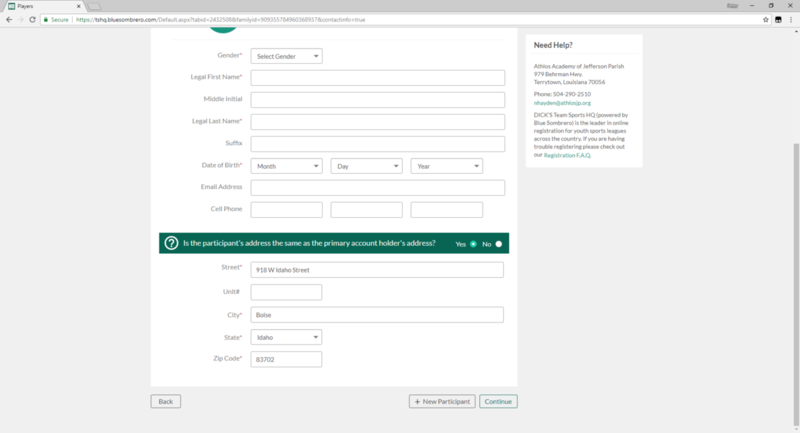 Step 2: In the upper right corner, click on "Register." Step 3. Enter your email and create a username and password. 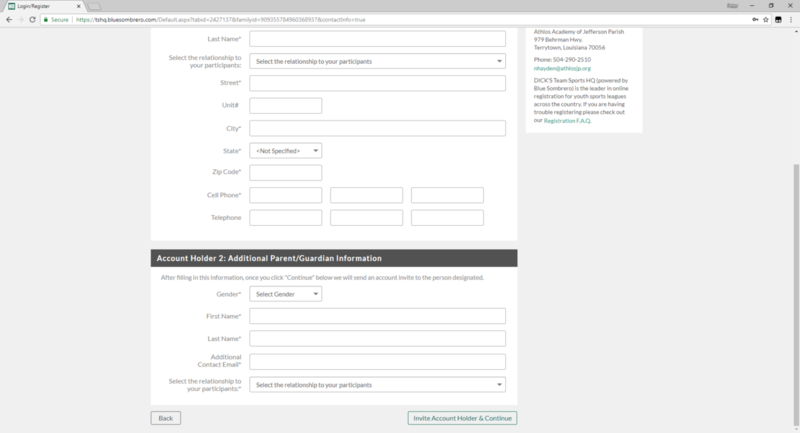 Step 4: Enter your information as the parent/guardian. Step 5: If you would like to add a second parent/guardian, do so at the bottom of the screen. 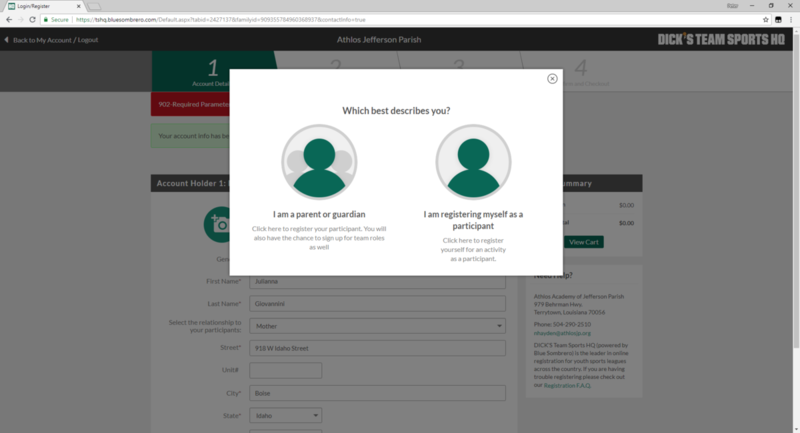 Step 6: Click "I am a parent or guardian" to register your student. Step 7: Add your student's information. 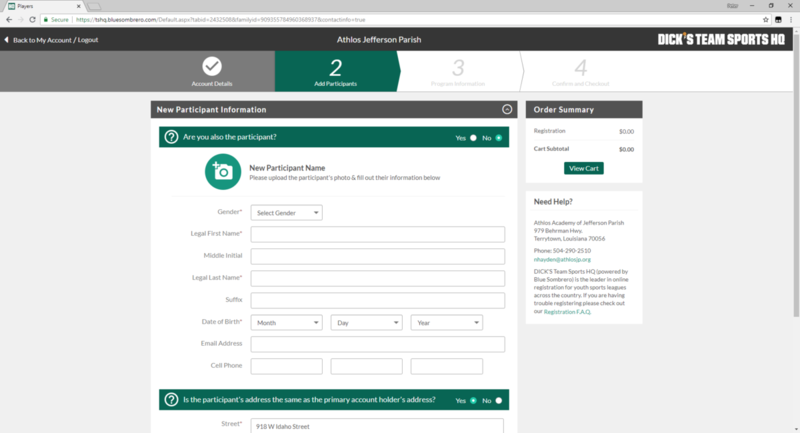 Step 8: If registering more than one student, click "+ New Participant" at the bottom of the screen. 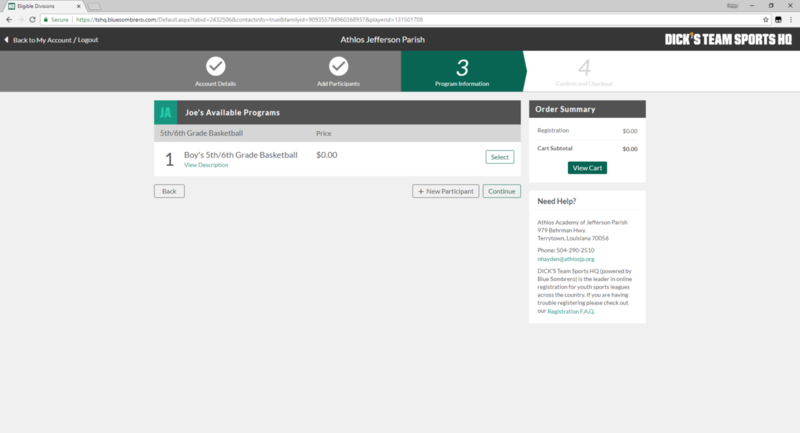 Step 9: Programs available for your student will show up, (Note: only the available programs based on gender and age will show up for that student) and select that program. 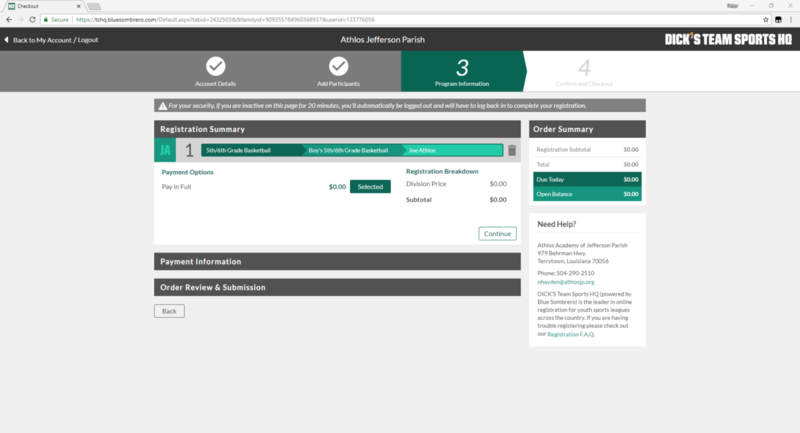 Step 10: A summary of the registration will then appear. You will pay in person on the first day of practice with cash or check so the cost is set at $0.00. 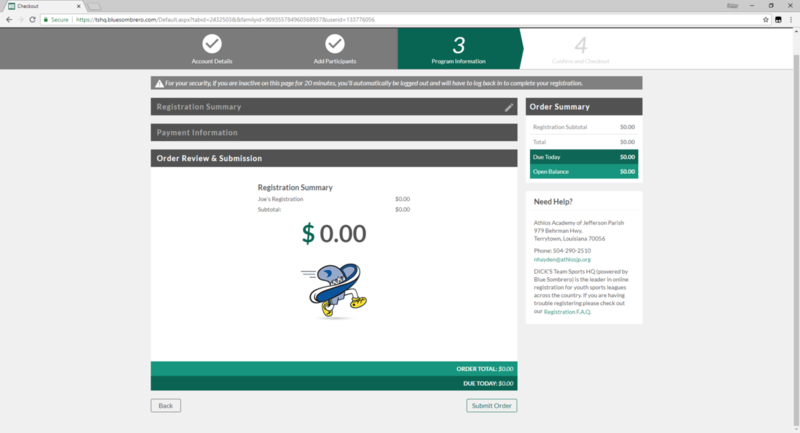 Step 11: Submit your order, and your student is registered! 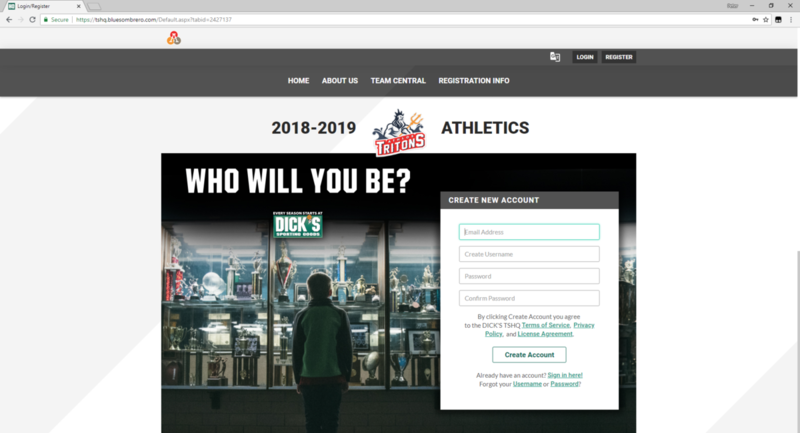 Step 12: Go back to the home screen to visit the site where information on scheduling, coaches, and announcements will be posted.